Cthulhu Reborn is pleased to welcome Graham Walmsley as our fifth interviewee in the “State of the Tentacle” series. Graham kindly agreed to drop by our dimly-lit half-forgotten headquarters high on a Wooded Hill overgrown with trees unnaturally thick. And if it sounds like that is a description lifted from Graham’s own book Stealing Cthulhu — well, that’s just a coincidence. We figured that with such a fresh and innovative take on translating Mythos to the gaming table, Graham was sure to have some interesting things to say about the future of Lovecraftian gaming. As you’ll see below … we were right. 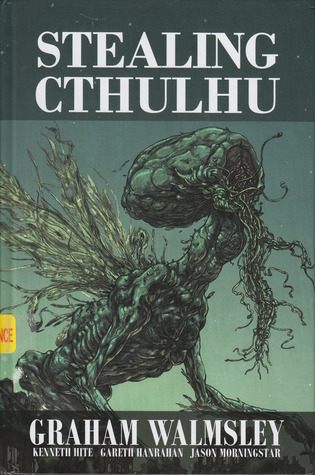 By way of introductions … Graham is the author of the much-acclaimed (and insanely useful) Stealing Cthulhu, a guide to Lovecraftian storytelling in games. He is also the creator of the free, rules-light system Cthulhu Dark which has been garnering significant attention among gamers intrigued by its simplicity and deadliness. He has written many products for Pelgrane Press’ Trail of Cthulhu and has also written for Cubicle 7’s The Laundry. 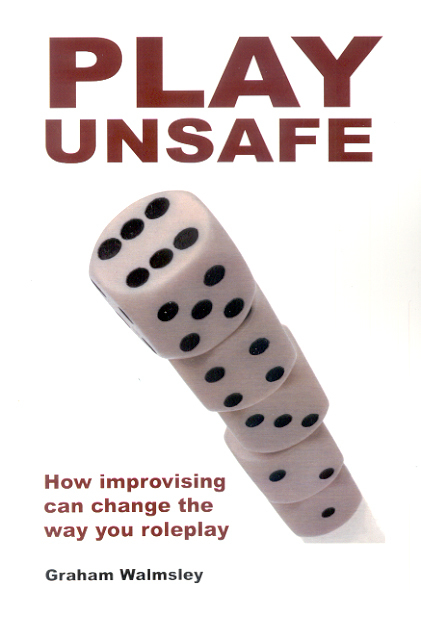 Graham is passionate about self-publishing: as well as Stealing Cthulhu and Cthulhu Dark, he wrote and published the storytelling guide Play Unsafe and the murder mystery game A Taste For Murder. Graham’s work is regularly nominated for awards and, last year, won a Gold Ennie award. CthulhuReborn: With over three decades of history to Lovecraftian Roleplaying, what do you see as the key milestones and mis-steps that have been made during its evolution? Graham: First, there was Call of Cthulhu, the game I grew up with, which scared me. And then, honestly, I lost touch for a few years. All I remember was this scary, scary game. When I got back into gaming, I was most interested in smaller games. So I liked Malcolm Craig’s Cold City, which doesn’t explicitly reference Lovecraft, but has soldiers fighting tentacled monsters in Berlin. And I liked Jared Sorensen’s Unspeakable, a Lovecraftian investigation game, in which you make up the horror as you go along. And other horror games like Dread and Dead of Night. If you’ve played those games, you’ll know how different they are from Call of Cthulhu or other traditional games. Not better, just different. And I think they show that you can do horror games in a new way. Five years ago, there was Trail of Cthulhu. That did two things: it gave Ken Hite’s take on the Mythos, which was utterly beautiful, making the creatures unknowable and twisted; and it specified a “Purist” style of play. I think that was important. It gave the idea that Cthulhu games needn’t be about shooting cultists: they could be about incomphrensible, insoluble horror. Since then, there’s been a mini-explosion in Cthulhu games: CthulhuTech, Realms of Cthulhu, my own Cthulhu Dark. Is that a good thing? I don’t know. On the negative side, it’s become a bandwagon. On the positive side, there are lots of games, each offering their own take on Lovecraftian gaming. CR: Given the many and varied publishers and product lines that exist in 2013 to support the hobby, what things do you think this “mini-industry” is doing well and what could be done better? Graham: Man. I hate talking about the industry. When we talk about the industry, we tend to focus on the bigger companies and the products they’re releasing. But, for me, that’s not where the interesting stuff is coming from. For me, the interesting stuff comes from smaller publishers. 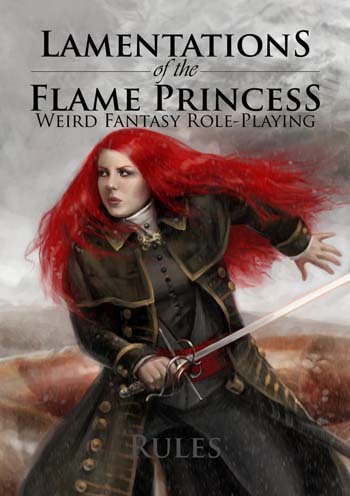 For example, James Raggi’s Lamentations of the Flame Princess has some great Mythos stuff in it. Even more interesting is the stuff that comes from Keepers and players. For example, I’m excited about Scott Dorward’s scenarios, which he runs at conventions in the UK. And I’m excited about the stuff Terry Romero is doing with Cthulhu games in the States. So, to answer your question: what’s the industry doing well? It’s doing well at a grassroots level. Keepers are producing great stuff, small publishers are producing great stuff. What could the industry do better? Engage with that grassroots stuff. CR: What do you see as the main factors shaping the direction of Lovecraftian RPGs right now? What do you see as the main challenges currently facing the continued prosperity/growth of the hobby? Graham: It’s easier to publish that it’s ever been. That means: it’s easier to publish Cthulhu stuff than it has ever been. And services like Kickstarter make it even easier. This is all good. What I see, at the moment, is a groundswell of people publishing their own stuff. Often, it’s as good as the products produced by bigger companies. Often, it’s better: because they love what they’re publishing, people playtest it more, research it more, polish it more. For me, that’s where we’re going. It’s a world of little, innovative home-produced products. I’m excited. So where does that leave the bigger companies? In some ways, they’re getting more innovative. Pelgrane Press are working with individual writers to produce a range of strange and creative scenarios (Jason Morningstar’s The Black Drop, Bill White’s The Big Hoodoo, Robin Laws’ The Repairer of Reputations). 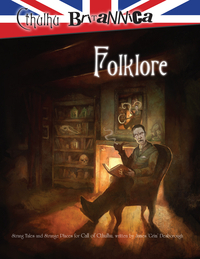 Cubicle 7 are building product lines around British folktales and World War II. And we’ll see what happens with Call of Cthulhu Seventh Edition, but I’m excited that two long-standing British Keepers are writing it. In some ways, however, the things published today aren’t innovative. They resemble the things published twenty or thirty years ago. I’d like more innovation. CR: If it was up to you, where would you like to see the product lines of Lovecraftian RPGs (whether it’s the games themselves or their support products) go next? Graham: Let’s see. I’m tempted to reply in generalisations, but that’s dull. It’s more fun if I tell you exactly what I think the major product lines should do. Let’s do that. Call of Cthulhu: I’d like an explosion of new monographs, in which up-and-coming writers cover new historical eras and aspects of the occult. In particular, I’d like monographs that don’t take a British or American perspective. 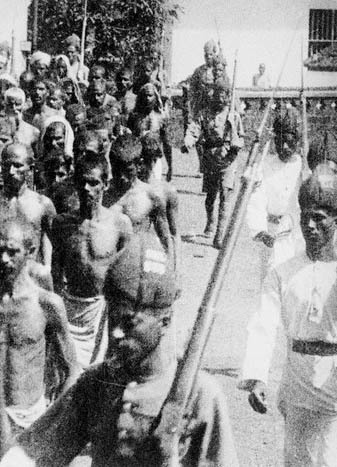 For example, I’d love an Indian monograph written from the point of view of Indian people, rather than Westerners. Trail of Cthulhu: I’d like to see a new edition, which shakes up the GUMSHOE system, keeping the best bits and tweaking the rest to make it even better. Meanwhile, I’d like them to keep working with writers and publishing exciting stuff. Delta Green: I’m looking forward to the new edition. For me, the most exciting thing about Delta Green is that it’s a military setting. I’d like them to use more military history, with stories from soldiers and support staff we haven’t heard before. Cthulhu Dark: I’m planning to publish a Cthulhu Dark rulebook. In addition, I’d like people to use Cthulhu Dark to publish their own scenarios and sourcebooks. As above, I’m especially interested in non-Western perspectives. Or at least stories and settings we haven’t heard before. CR: What do you mean, non-Western perspectives? Graham: Most Cthulhu material has focussed on Brits and Americans. Even when a product focusses on a foreign country, it takes a British or American perspective. (It’s usually British for Gaslight material, American for later material). This is both a problem and an opportunity. It’s a problem, because we only hear a Western perspective. It’s like nobody else exists. It’s also a problem because it tends to romanticise history. There were some deeply problematic things happening in the 1890s and 1920s (which I won’t spell out for you). We don’t hear about them. So, I’d like to hear the stories we don’t normally hear. More widely, I’d like to hear stories about people we don’t usually hear. 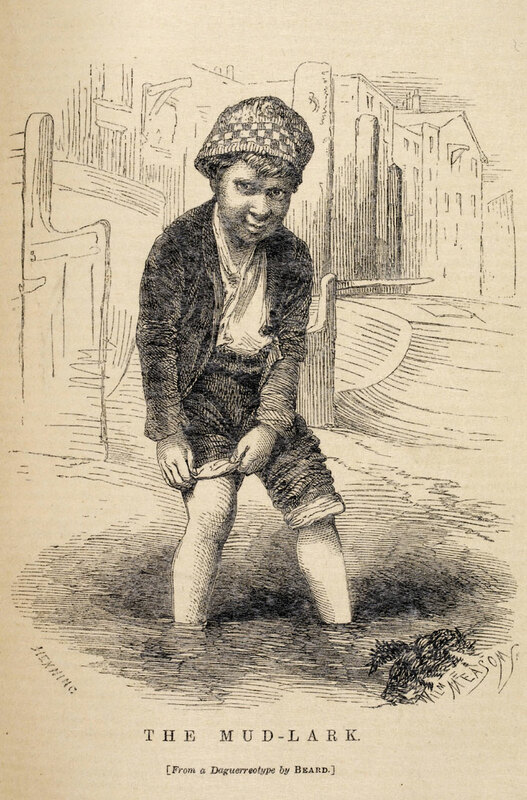 We hear a lot about Victorian gentlemen, but not about Victorian market traders, Victorian mistresses or Victorian mudlarks, even though their stories are probably more interesting. And it’s an opportunity, because there are so many more stories to tell. I want to hear stories we haven’t heard before, from people we don’t usually hear from. CR: Hypothetically, if you were to gaze into a crystal ball and look five years into the future of the hobby, what do you expect you’d see had changed in that time? Graham: There’ll be more small publishers, more exciting new scenarios and more focus on horror that’s close to Lovecraft but not Lovecraft. Poe? M R James? Stephen King? Thomas Ligotti? I don’t know, but I’m looking forward to finding out. CR:Us too! Thanks for your time, Graham! I’m sure that there’s a whole range of things you’ve mentioned that readers might want to quiz you further on. Are you willing to come back to answer a couple more questions? This entry was posted on Saturday, February 16th, 2013 at 11:04 am	and posted in Interviews, State of the Tentacle. You can follow any responses to this entry through the RSS 2.0 feed.